Phoria Radio #5 This Sunday at Noon! Tomorrow marks the first Sunday of the month, so that means it’s time for another episode of PHORIA Radio! 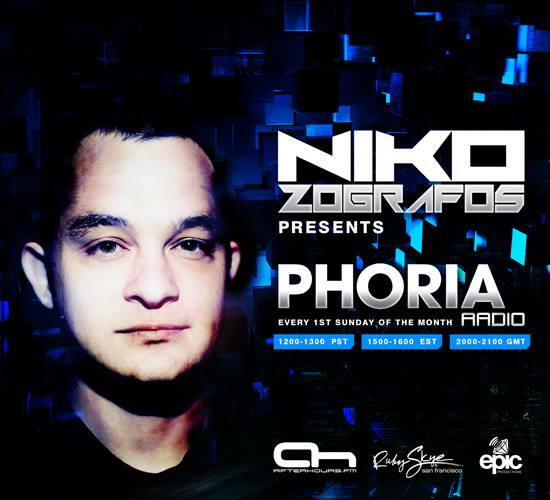 Yesterday, Niko was just putting some final touches for ‪#‎PHORIARadio‬ Episode 5, so it should be clean and crisp for tomorrow. Also, if you didn’t catch Niko and Mitka set from Future Sound of Egypt in San Jose, then you can hear it here on this Soundcloud link!!!!! 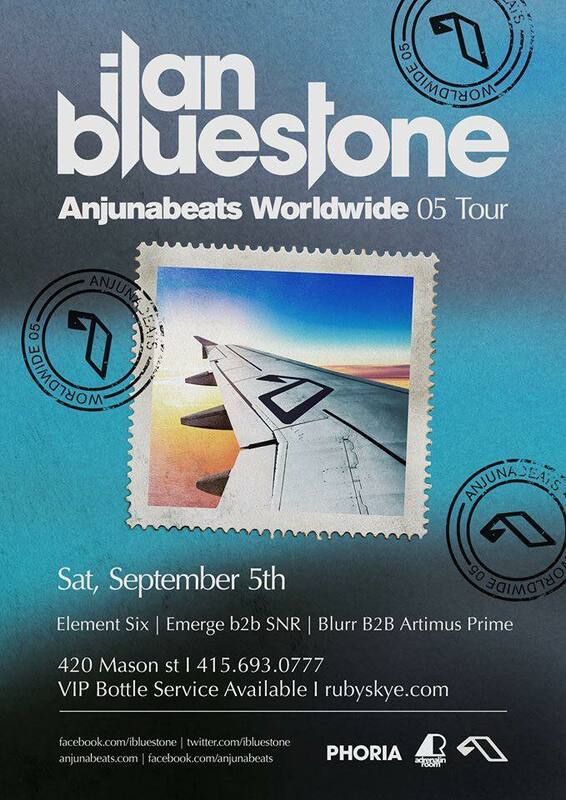 Other than that, PHORIA is hosting ilan bluestone tonight with Adrenaline Room at Ruby Skye. So if you’re in the Bay Area, make sure to check him out. It’s going to be an amazing show, trust me. I’m a doctor (nope, legally not a doctor). Some of you have been wondering what I was going to say about last weekend. Only one word could describe it: EPIC. The amount of awesomeness started on Friday, and ended on Sunday morning. 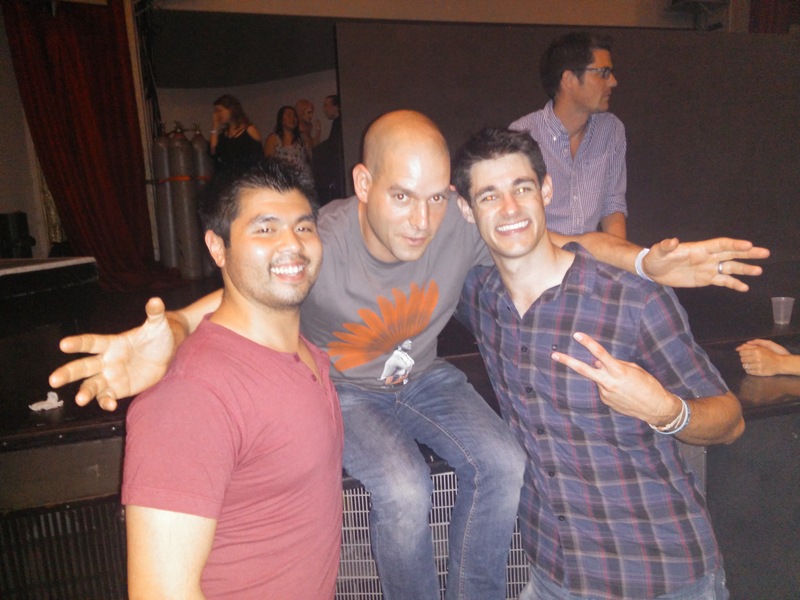 I had known Thrillseekers would be in town, but didn’t know he would have the chance to hang out with us for the entire FSOE show. It was good to hang out with him both the night before, and then the night after with all of us attending. Starting off with Roger Shah and Thrillseekers at Phoria was a great idea. I had never attended an event here at the San Jose Civic and was very pleased. Accommodations, FREE water in the smoking areas, Full Bar, Lots of space to move, mingle and walk around, and full A/C for the venue. The seats in this place were not crappy plastic, but plush foam. Way different than other venues with stadium seating. Aside from parking in a garage so my car would be safe, there was parking all around the venue. For once, some of us who were hungry got to eat without breaking the bank. I think the price of a hot dog, drink and some nachos cost a total of like 12 bucks. The Stage array was spectacular with a full on Triangle with Lasers, smoke, fog and HUGE LED screen. Some attendees were saying there was not enough sound, while others say there was too much. Those who were directly in the middle of the room for the night probably got to hear the best sound, I stayed out there for a few hours before slipping backstage to hang out for the rest of the evening. Hats off to Niko Zografos and Justin Duke (Mitka). It took us some time to get into the venue, but it was worth the wait. I am really glad I came early to capture you guys, and there are videos and photos I’ll upload, a lot of them here in this post. 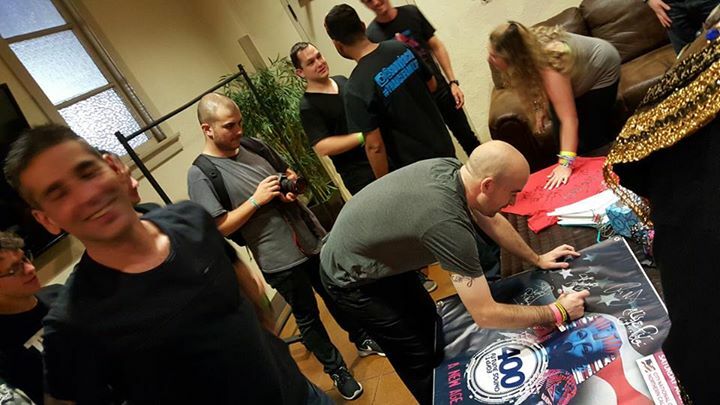 HUGE thank you to Midnight events, Benjamin Rosenberg and FSOE. Thank you for your hospitality and for throwing such an awesome event for all of us to experience. I look forward to the next one and was pretty happy it was only 15 minutes away from my house for a change. Aside from the Talking Voices, The MUSIC still connects us. It was really GREAT to hangout, see you, and be a part of the weekend with all of ya. Its a Blast to call all of ya my friends =) Videos will be posted soon as well, stay tuned. See all of you for Bryan Kearny, Jorn Van Deynhoven, Photographer, me & Emerge on August 14th! By Stephanie Q. and Airec S.
Phoria had the pleasure to host a Classic Only night with San Francisco’s own (Josh) Gabriel & (Dave) Dresden. The anticipation was killing many last Friday; nothing could have prepared us for the ultimate night of classics only with 7+ hours from Gabriel & Dresden at Ruby Skye other than lots of Redbull. A few lucky TranceFamilySF meet & greet winners got the chance to enter Ruby Skye before the madness began, starting out their night even earlier than those who arrived at 9pm! We don’t know how they survived the night, but major props to them! We would definitely like to know their secret, because we was definitely destroyed by the end of the night! But for the rest of us un-winning peasants, we still had the time of our lives even without getting the preview experience from the dynamic duo. The lucky winners who got to meet Gabriel & Dresden! It may have been the beginning of a long night, but Ruby Skye was packed with classic lovers: the bar was lined up with people waiting to begin the party and the dance floor was packed with those ready to dance their feet off! Unlike any other night we’ve been to Ruby Skye, the club was for once not filled with an influx of drunken young adults, but rather with fellow passionate trance lovers that were only there for the music. Gabriel & Dresden brought their A-game even while they were opening up the club, warming up the dance floor with a cool melodic, minimal and progressive sounds, bringing in even the shyest of dancers to bob their heads and dancing in place. It was funky, groovy and the two DJs knew their home crowd and gave us what we wanted. The night may have started out early but oh how we all danced our hearts out. The music that accompanied us through the night was not only filled with classics but contemporary tunes from Pryda, Deadmu5, and many more. Once the club approached the 2AM mark, the crowd thinned out and was composed only of fans who weren’t just weekend warriors. G&D rewarded us remaining classic trance lovers by turning it up and tugging at our heart strings with classics that we thought we would only hear from relic CDs and iPod Minis! The two legends played tracks like “Mind Circus”, their remix of “Read My Mind”, old-school-trance-Tiesto’s “Into the Dark”, “Tracking Treasure Down”, and many more. G&D transported our minds, along with the crowd, to another world that was once thought to have only lived in the musical past; one of the best tracks that revved up the nocturnal crowd was “Southern Sun”. This trance classic got everyone to sing their lungs out as words that were once forgotten spewed out of everyone’s mouth to match the vocals of Carla Werner. If people thought the sing-a-longs would stop there, the night continued with a crowd surged karaoke of “Beautiful Things” and “As the Rush Comes”. 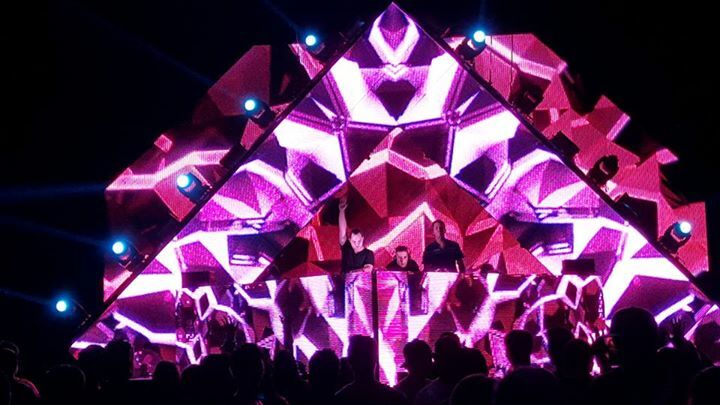 They even closed out the night with their remix of Above & Beyond’s “No One On Earth”! That blew our minds away and ended the night on a perfect note. We’re pretty sure we speak for everyone who stayed until 4AM when we say our voice is still recovering from bellowing out lyrics of the past. We all definitely left with a smile on our face and not regretting how destroyed we’d be feeling the next day. Not to discredit other DJs whom have graciously spun at any other Phoria night, but this Classic Only night was a sort of magic that only classic tunes could conjure, making it was one of the best nights Phoria has every hosted. The majestic feeling of everyone in attendance was real; there was no emphasis on drops or breakdowns, just beautiful music that surrounded us with love. It’s a surreal feeling to be in a room with so many trance fans who were embarked on a musical journey piloted by G&D. 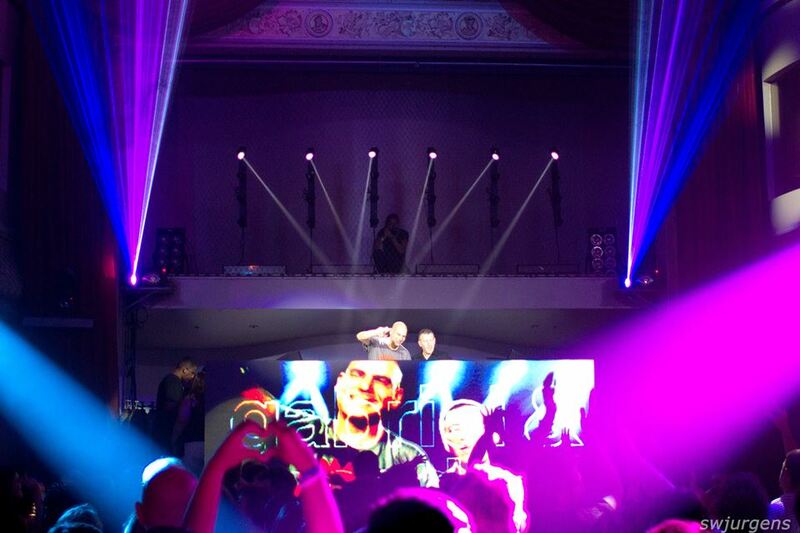 This unforgettable night was filled with a lot of group hugs, kisses, and simply the love for trance. Words just can’t explain how beautiful of a night we had. The people in Ruby Skye that night started out their trance-voyage as strangers, but slowly became a family of Phorians in the end. Without you, the fans, none of this would have been possible! We wished that everyone could have joined us, but we at Phoria understood if you couldn’t. However, if you were there then please spread the word on how amazing that night was. Hopefully y’all could join us next week for another night of a different kind of trance magic with Simon Patterson, John Askew plus Derek Pryce, Erika K & Iridescent on July 24th! Post 4th of July Celebration with #PHORIA Radio!!! Alright, it’s time to wake up and dust off that America Day hangover with some music at #‎PHORIARadio‬ today, at Noon PST on Afterhours.FM! Featuring music from Aly & Fila, The Thrillseekers, Bryan Kearney, Adam Ellis Music, Will Atkinson, & much more!!! Should be a good energetic set from these dark trance masters that will keep your fireworks going. Follow @PhoriaRadio on Twitter for LIVE tracklisting!!! By Airec Sype. and Stephanie Q. 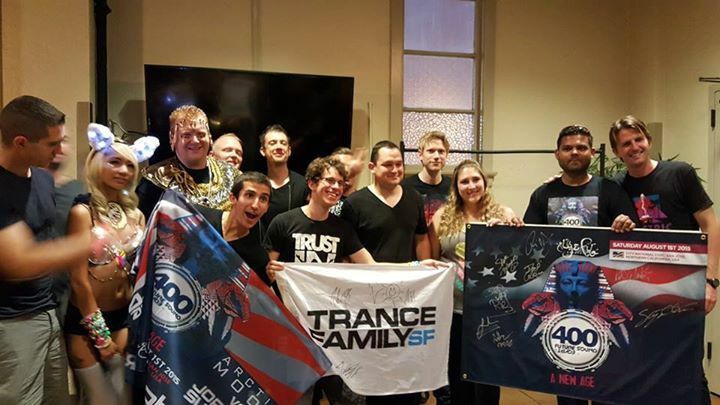 It wasn’t too long ago that we at Phoria celebrated our one year anniversary as a premier trance provider in San Francisco. Even though the party is long over, that doesn’t mean we can’t relieve the festivities. Thanks to some carefully blended words and Afterhours.FM recording of the sets Friday night, we can give those who were not able to attend a quick glimpse of what magic occurred at Ruby Skye. Mr. Phoria himself started the night off for Mental Asylum. It may have been minimal, but it was a proper opening for a night full of talented DJs who were not afraid to tear up the dance floor. Zografos welcomed us with rhythmic house beats that hypnotically swayed clubbers from the bar and onto the dance floor. Towards the end of his set, Zografos introduced techno elements that slowly ushered in Billy Horn. Billy Horn, another resident Phoria DJ, picked up where the techno left off. Horn spun those electronic snare that was enticing but still courteous to the headlining DJs as he was careful to stay within a respectful BPM. The consistent groove guided people on the dance floor. It wasn’t till the end of his set that Horn decided to kick it up a notch and play some upbeat trance, setting the stage for tech-trance mastermind Mark Sherry. When it was time for the craziness of Mental Asylum to start, the lights blacken out as a dark figure approached the decks. 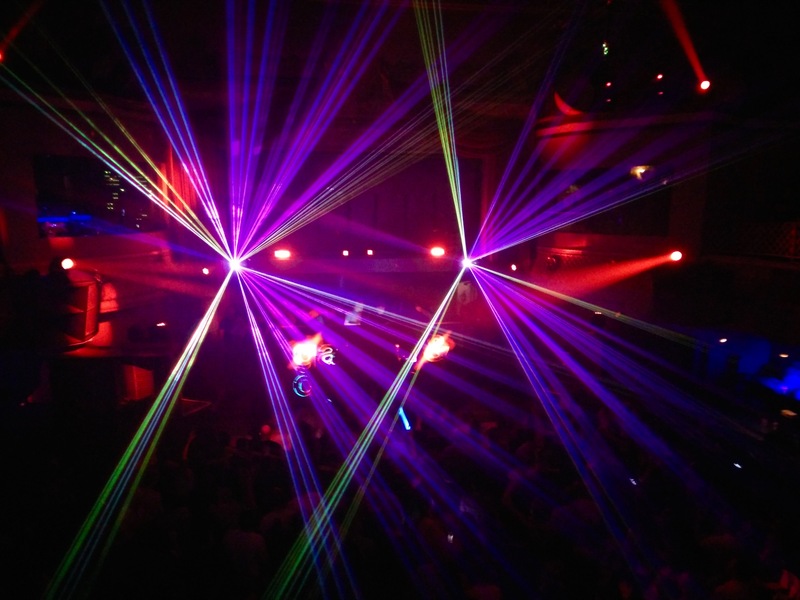 The intimate trance lovers immediately knew who it was through the darkness and roared. With that signal, the lights flashed on and Mark Sherry emerged with his hard electronic sound. The speakers produced a haste thumping bass, accompanied with underlying synths and snares. It wasn’t quite techno as the trance elements choreographed the beats into something that was borderline uplifting. There may have been people new to the sounds of Mark Sherry, but at that moment everyone felt his presences as he came out swinging. It could have been that techno style loop of familiar beats, thumping bass or the flashing lights but one could have easily gotten lost as Sherry’s music surrounded everyone in an enclosed musical bubble. Along with his own production, Sherry played tracks like his remix of “Remember This”, “The Evil” and “Generate”, Familiar tracks like those got the crowd revved up as they displayed their gratitude with claps, cheers and chats of Sherrys name. Amongst the hard beats of tech-trance, Sherry wasn’t afraid to uplift it up a notch. The best part of his set was something you don’t see often from trance DJs. If you pay close attention to the beginning of his set, you can hear Sherry ‘play’ with his tracks. It wasn’t exactly scratching, but he looped some beats and played around with the flow of the music, adding to the raw electronic feel of techno. His interaction with the decks kept us on our toes as we were thrown some unexpected DJing! It’s great to see a DJ actually DJ instead of pushing play. His set was energetic and aggressive all the way into the end. It was grand. After the robotic trance style of Mark Sherry, it was finally time for the man of the hour to make his way to the stage. Indecent Noise approached the crowd and was met with cheers. Getting straight to business, I.N. turned up the speakers to rush the crowd with the dark eerie sounds of psychedelic trance. Compared to Sherry’s frontal assault, I.N. sound flanked the now packed dance floor with bass, psychedelic synths, and soundbites from what seemed to be from sci-fi movies. Nothing says psy-trance like sci-fi stuff. You didn’t know what to believe as the complex melodies that were carefully layered upon one another with a high tempo riff turned the fantasy of Mental Asylum into a dancing reality. Nothing was safe from I.N. sound. The fan’s were bopping and jumping fiercely as they heard remixes of “Ping Pong”, “Fire Wire”, and the classic of all classics when you just wanna rave, “Sandstorm”. Our very own Niko Zografos was onstage when the crowd went nuts to this 90s hit. Then it was Zografos turn to go nuts as I.N. played Ferry Tayle remix of our home theme “Phoria“. The tunes this man was playing was MENTAL! An unexpected remix that I.N. played was “A Thing Called Love”. It was amazing to see the heartwarming lyrics of Above & Beyond transporting the crowd into a euphoric state before I.N. hit the nos button with a harder and darker remix of the crowd pleasr. Even dedicated fans of Anjunabeats appreciated the new rendition of a beloved classic. “I love that these guys are starting to branch out to Ajuna. And I Love it!” Camele, aka Ajunaslut, said. Not only did I.N. pull classics out of left field, but he also blended the idea of genre. One of the best surprises from his set was when he decided to switch gears and play hardstyle. This pleased professional ravers and weekend warriors alike. It was quite the trip I would say when I think back to his set. So check it out! As the night started to wind down on Friday night, James Dymond took the stage to a still trance hungry crowd. While still keeping the momentum of the previous two powerhouse, Dymond feed the people below him euphoric trance that was energetic and a flavor only reserved for his own style. His set was musically enriched where only one of a history like his in classical music can deliver. This was definitely the part of the night where fans can hear a style of trance that flowed up and down a familiar euphoric journey. Hands were in the air and eyes were closed during his set. The club may have lost some attendees due to the late of the night, but everyone who was there was still feeling the music as Dymond conducted the melodies to our ears. If Dymond was a seashell, you could hear the waves of beautiful music crashing into your soul. The highlight of his set was when he played a remix of the trance classic “Castles in the Sky”, adding a few harder bassline in the melody. His set was the perfect way to end a night of hard-hitting music. And then it was time to bring in the trance legend, Ferry Corsten, for round two with Stephanie covering. Warming up the dance floor for us was the one and only Niko Zografos. Experienced with opening sets, Zografos nailed his job. He had the perfect opening easing into the night with his cool melodies. Even at the beginning of his set, there were already small groups of people grooving and beginning to get others sitting on the sidelines pumped. 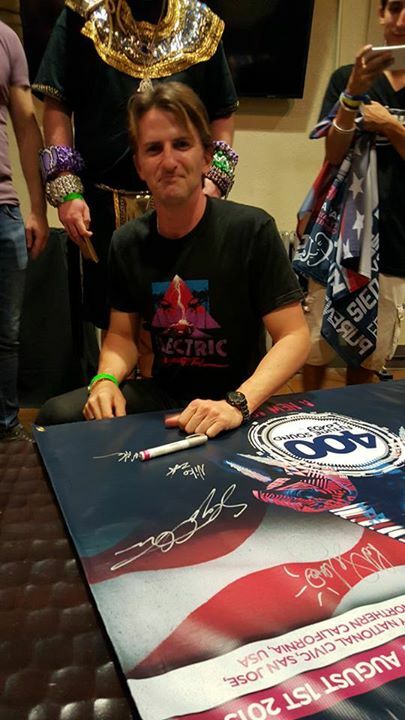 As people began to mill into Ruby Skye, I left the floor to meet trance legend Ferry Corsten and I got him to sign my Tomorrowworld flag! Back on the floor, or lack thereof, I couldn’t believe what I had gotten into! I was squeezing through people just to find my friends while everyone was going wild to Niko’s set, the change of pace raising the crowd’s energy and excitement level. Soon Niko closed out his set and it was time to experience a magical 3-hour journey through the night. Ferry Corsten brought the fire, throwing down some old school trance goodies like “Airwaves” from Rank 1 and surprisingly even throwing in Darude’s “Sandstorm”. The crowd went absolutely nuts! I’ve never heard so many people at once going ‘dudududududu’ and tried stepping on the floor like it was a giant Dance Dance Revolution pad! If you were standing right next to me, you would have probably heard me screaming when Ferry put on his single from 2012 ‘Live Forever’ featuring Aruna. Ferry kept the feels going that night playing sing-a-longs likes his own mix of Kaskade’s ‘Sleep Alone’ and Dash Berlin’s rework ‘Sky Full of Stars’. 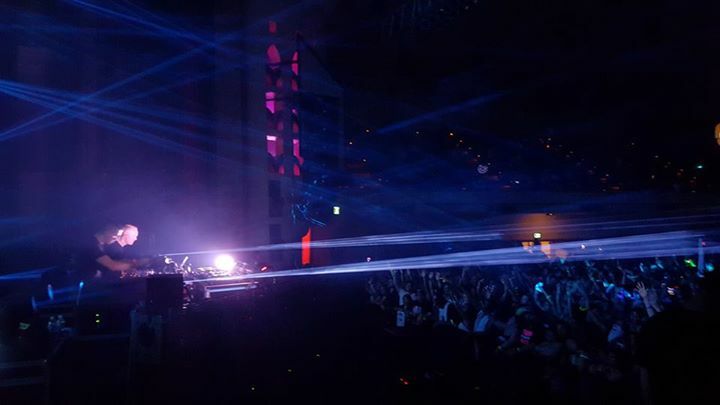 Then in the middle of the set, Ferry announced that his next track would be the first time it would be played live, his remake of ‘Gouryella – Anahera’! It was truly a moment and night to remember. Ferry continued strong throughout the night, even going past 3am and giving John Beaver only 20 minutes to play before Ruby Skye closed for the night. Beaver continued on strong for his 20-minute set giving it his all. So there you have it folks, we know it was a thick read but we had to cover four amazing DJs for our birthday party. It was a great night for music and feels. Make sure y’all check out our other events coming up like the Gabriel & Dresden *OPEN TO CLOSE CLASSIC* set. it will be a great one. 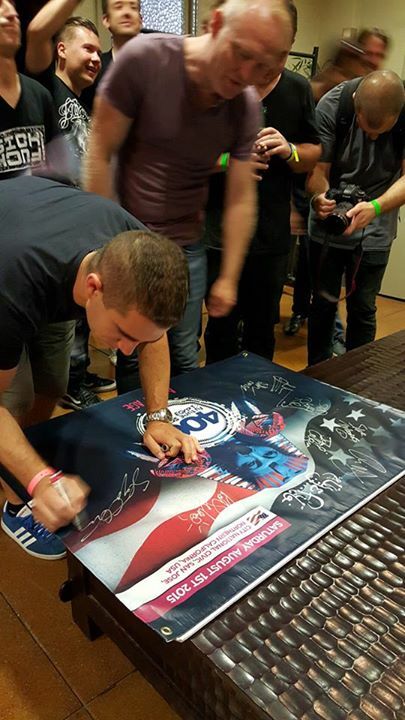 Before you leave, check out the pictures below of the meet and greet winners of that weekend. Till next time. We’ve just received a message from Markus Schulz about his Coldharbour Recordings Night this Friday w/ KhoMha, Grube & Hovsepian, & Mr.Pit!